The United States auto industry released its sales figures for the month of August, which to many is the start of the end of the year. 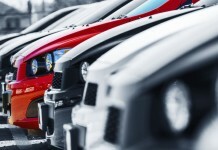 As 2011 begins to be wrapped up, it would appear that more and more Americans are purchasing SUVs and Pickups. Up 40.7 percent from last year’s August were total SUV sales at 110,786. Pickup trucks, up 12.9 percent from 2010, dominated the segment sales with a total of 563,175 units sold; beating the SUV, Crossover and Car. Of all the segments, only one was down from August 2010: the large car. 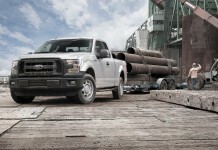 Continuing on its winning streak is the Ford F Series truck which earned best-selling overall vehicle. 48,795 F Series were sold in August, up 2.4 percent from last year. The other all-American pickup, the Chevrolet Silverado, took second position selling 36,832 units. Taking fourth place and up 24.5 percent from 2010 was the Altima, which Nissan sold 23,016. And despite being down 12.7 percent from total manufacture sales compared to August 2010, the Toyota Camry still managed to earn third place for individual vehicle sales. Moving on to the battle of the manufactures, General Motors is still holding on to its top spot. The only manufacture to break into the two-hundred thousands, GM sold a total of 218,479 units during August. Compared to last year, that figure is up 18 percent. 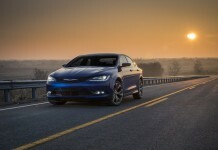 The Blue Oval took second place as Ford sold 174,800 while Chrysler LLC proved it is getting back on its feet by securing third with 130,119. Both of those ratings are up 11.1 and 30.6 respectively from August last year. They also mean that for the month of August, the Big Three were in fact, the Big Three. Hurting compared to 2010 were the two Japanese powerhouse products, Toyota and Honda. Toyota sold 129,483 total units, down 12.7 percent from last August. Honda was down 24.3 percent, selling just 82,321 units in August. Disproving that the Japanese are stalling was Nissan, who sold 91,541 total cars and trucks, up 19.2 percent compared to August 2010. Of the Germans, Volkswagen did the best-selling 25,232 total units while Porsche sold 2,184. During August, only 363 Saab vehicles were sold in the United States. 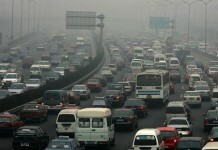 Down 42.7 percent from last year was Jaguar who managed to get rid of 860 cars. Maserati and Bentley did well compared to 2010 as they both increased by 39.7 and 53.1 percent respectively. 126 Ferraris were sold and a staggering 4 Maybachs were purchased brand-new. 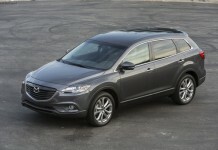 In the 26 selling days of August 2011, 1,072,283 total light vehicles were sold in the United States. Next articleBMW Motorrad. Road to Barkerville.